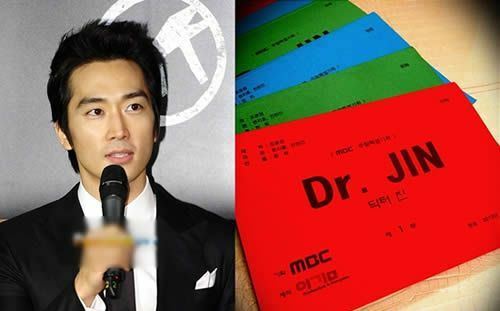 Song Seung Heon revealed the script of “Time Slip Dr. Jin”. “Time Slip Dr. Jin” which succeeds Feast of the Gods is debuting with episode 1 on May 26th, 2012. Song Seung Heon is in preparation for the shooting. The drama is adapted from the famous Japanese manga. The male actors starring in the drama include Song Seung Heon, Kim Jaejoong, Lee Bum Soo, while female actresses starring in the drama include Park Min Young and Kim So Yeon.